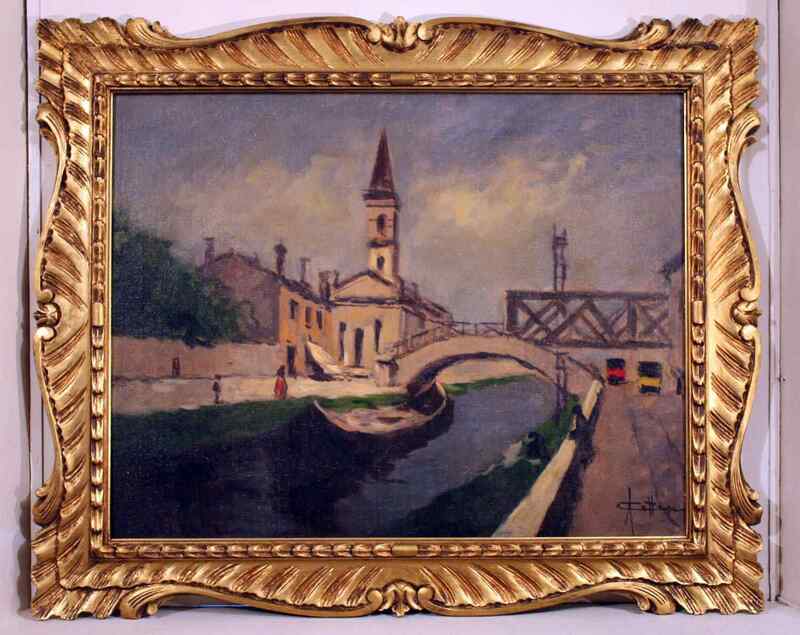 Bertini's pupil at Brera was then strongly influenced by the naturalistic verism with a disapointed matrix in the schemes of the so-called Lombard impressionism by Emilio Gola. His first painting was purchased by the City for the Gallery of Modern Art in Milan. He participated in numerous national and international exhibitions with paintings of interiors of churches and views of Milan, especially the canals, which he preferred. In 1950 a posthumous exhibition of this artist, classified as a good impressionist from Lombardy, sincere, fresh and effective, was held at the Galleria Ronzini in Milan.